“On behalf of everyone at Solution Tree, I am writing to thank you for your continuous commitment to ensuring high levels of learning for your students, as evidenced by your recognition as an approved Model Professional Learning Community. 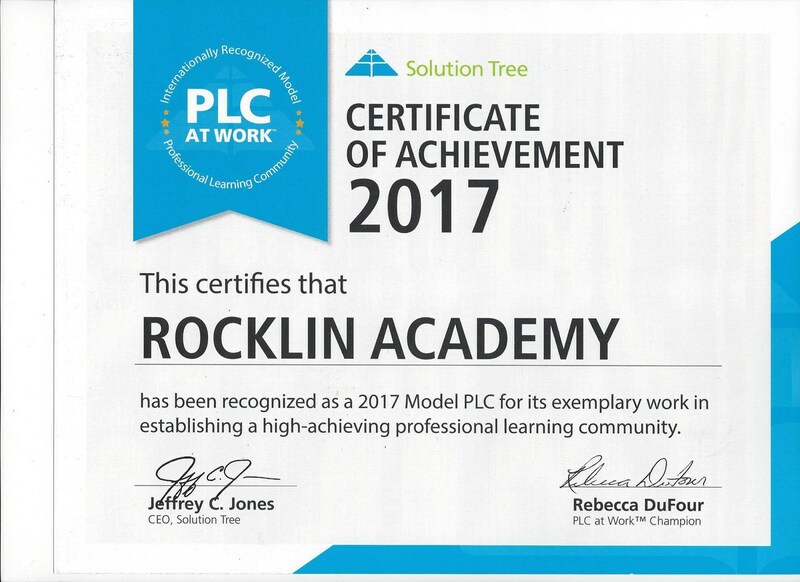 Every day at Solution Tree, we strive to advance our vision to transform education worldwide to ensure learning for all, and we are honored to work with Rockin Academy to advance this vision. The example you set for other schools and districts around the world is truly a remarkable accomplishment. 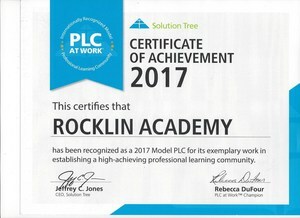 Thank you, Rocklin Academy families and staff for your continued support. We could not do what we do without all of our stakeholders working together toward the common goal of supporting all students.